WalmartA scene from the new Grown store inside the Orlando, Florida Walmart Supercenter. While many Walmart stores have some type of food component, it’s usually a McDonalds or Dunkin Doughnuts, a location in Orlando, Florida just went in a different direction. There’s a large variety of mains to choose from, including salmon, falafel, shrimp, brisket, and more. 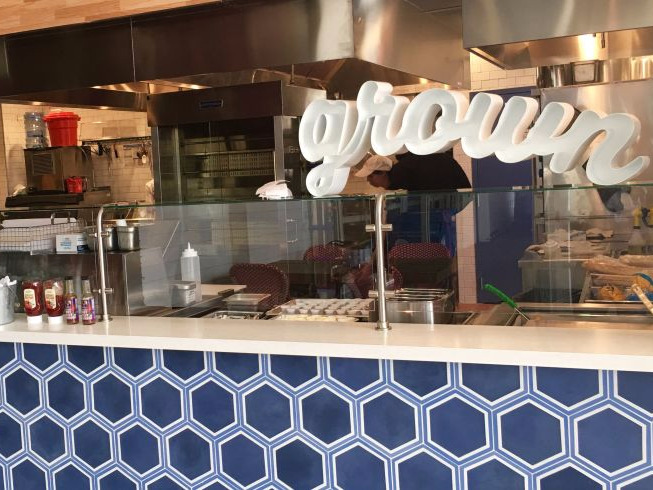 Grown also serves breakfast in the morning, and smoothies and juices all day. Walmart has recently been making big strides to court the health conscious consumer and the company has majorly revamped its organic food offerings. It’s now become the biggest organic food slinger in the US. This new restaurant is just another sign that the US’ largest retailer is serious about serving these customers, and paying attention to customer’s needs and demands.